Kenya. Mbita on shore of Lake Victoria. Homa Bay county. 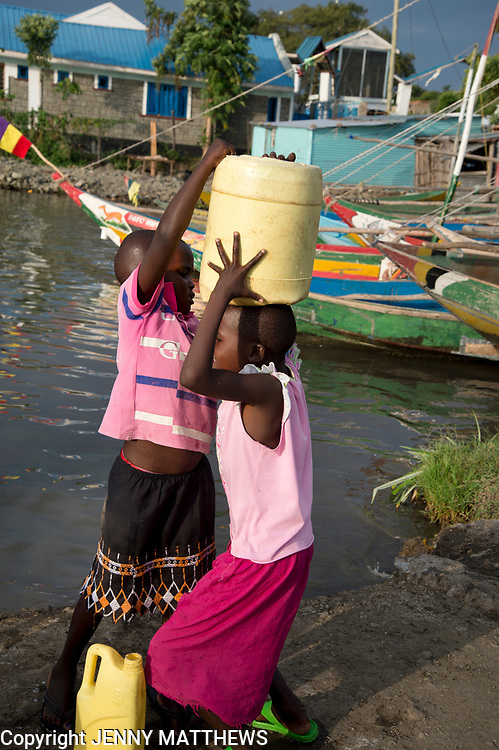 Two very young girls collecting water from the lake. One puts a heavy can on her head.